Conference Venues SA has a comprehensive list of conference centres and other venues for conferences, business meetings, functions and corporate events in the Gauteng province of South Africa. 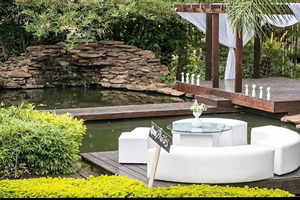 Click on the area in the Gauteng province of South Africa where you are looking for a Venue with conference facilities. Click on one of the regions to see all available venues with conference facilities in Gauteng. Gauteng means Place of Gold in Sesotho. The word is a historical Sesotho name given to Johannesburg after gold was discovered in the region. Gauteng is bordered by the Vaal River with Free State to the south; it also borders with North West Province to the west, Limpopo Province to the north, and the Mpumalanga Province to the east. 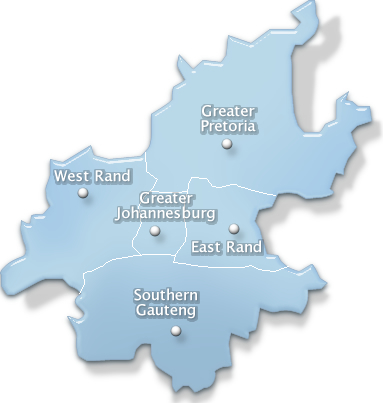 Most of Gauteng is situated on the Highveld region of South Africa. Gauteng is considered to be the economic hub of South Africa and contributes hugely in the transport, manufacturing, financial, telecommunications and technology sectors of the country even though it only covers 1.4% of South Africa’s total land area. Gauteng plays host to a large number of overseas companies requiring a commercial centre and gateway to Africa. The province generates 10% of the gross domestic product of the entire African continent.